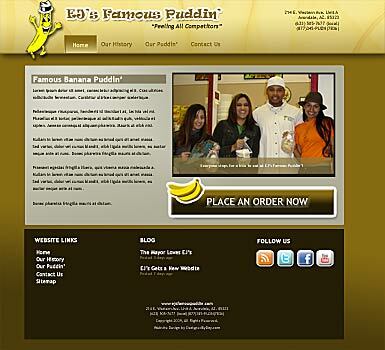 EJ’s Famous Kettle Cooked Banana Puddin’, Is passionate about putting smiles on peoples faces. I think the world would be a better place if every one would eat more of EJ’s Famous Puddin’. My favorite food is BBQ, and my favorite dessert is Banana Puddin’, that’s why I’m targeting all BBQ locations in Arizona. You can find EJ’s Famous Puddin’ at any BBQ restaurant on the West Valley, and if it’s not there yet give us a call or give the location my number and we’ll get it to a location near you!